Pick-up trucks aren’t the utilitarian workhorses that they used to be. In fact, they’re getting much more car-like in their features, and that’s tempting some people away from SUVs and into a truck. But what’s it like to live with a pick-up rather than a car? 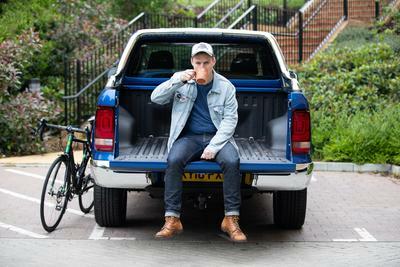 Auto Trader’s senior road tester Phill Tromans spent six months with a Volkswagen Amarok to find out. 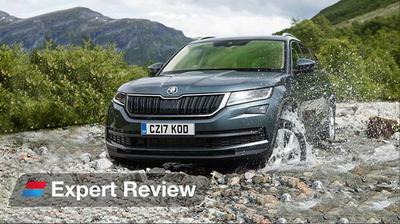 Skoda adds more power and a sporty attitude to its seven-seater SUV. 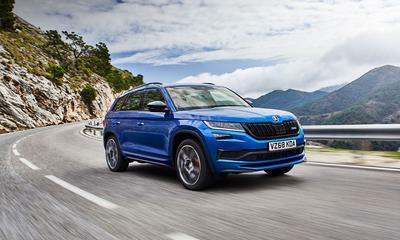 We’re big fans of the standard Kodiaq, so can the vRS version add some extra excitement? Phill Tromans went to Spain to find out. 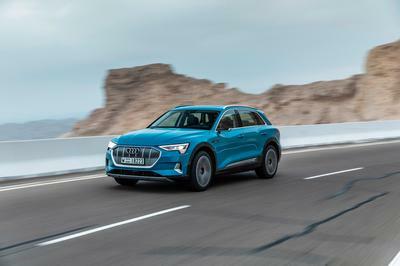 Audi joins the all-electric SUV game with the E-Tron 55 quattro, a rival to Jaguar’s I-Pace and Tesla’s Model X. Phill Tromans heads to the UAE to see what it’s like. 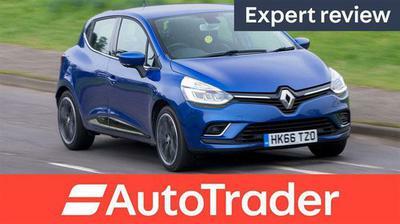 The Clio is one of Renault’s most popular cars, and takes on the likes of the Ford Fiesta and Volkswagen Polo. Has a 2016 refresh kept what is an ageing hatchback relevant against its newer competitors? Phill Tromans finds out. Phill Tromans finds out more about the new Range Rover Velar. This sporty new SUV from Land Rover will compete against the likes of the Porsche Macan, Mercedes-Benz GLE Coupe and BMW X6. The Porsche 911 GT3 is a monster of a car; lighter, more aero and more powerful than a standard 911, and built for speed. But what fun is that when big speeds aren’t an option? 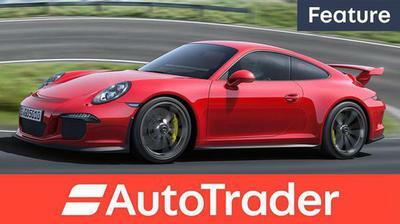 We headed to Switzerland to see if a GT3 can be fun while staying on the right side of the law. 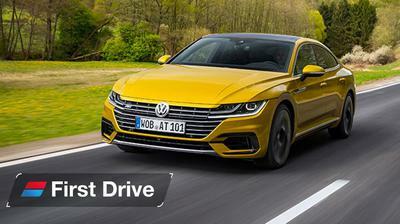 The Volkswagen Arteon will arrive on UK shores towards the end of the year, and aims to tempt customers away from the Audi A5 Sportback and BMW 4 Series Gran Coupe. We went to Germany for a first look at it. 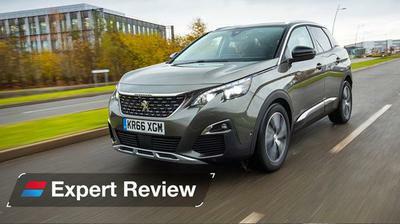 The Peugeot 3008 competes in a tightly packed five-seater SUV market, with rivals like the Seat Ateca and Nissan Qashqai sweeping up customers. Has the French car got what it takes? 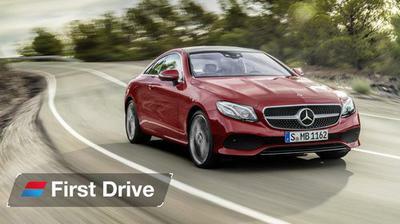 The new E-Class Coupe sheds two doors from the saloon and goes for a sexier look. Does that mean a more engaging drive? 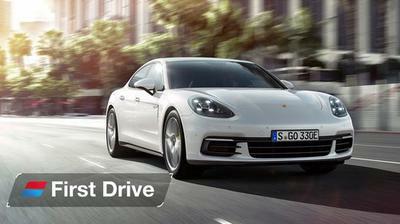 And how does it compare to the likes of BMW’s 6 Series or Audi’s A5? Phill Tromans takes a first drive in Mercedes’ new machine to find out. The Panamera's plug-in hybrid option adds an electric motor to a petrol V6 engine, giving it a 31-mile electric-only range and all-wheel drive. It's targeting the Mercedes-Benz S-Class and BMW 7 Series, but aims to offer a more sporty drive when the right roads appear. 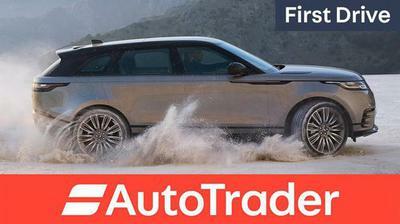 A bit of sponsored content I did for Auto Trader, on behalf of Volvo. 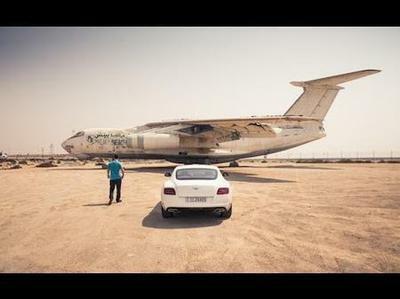 What's the best car to drive across the Kingdom of Saudi Arabia? Why, A McLaren 12C of course. We cover more than 2000 kilometres looking for motoring nirvana. Phill is faced with the ultimate challenge for a mechanical novice - complete a full 10,000km service on a Chevrolet Malibu. Will he know what the heck he's doing? Will he succeed in his final test? Will he spill oil everywhere? The answer to at least one of those questions is "maybe". A stunning example of my incredible professionalism. 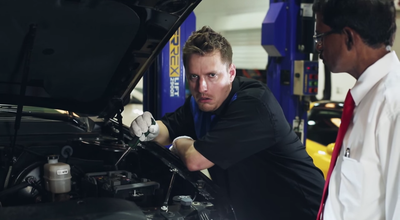 In the second video in the series, Phill has to deal with a short circuit on a Chevrolet Tahoe headlight. Once again, he has no idea what he's doing. 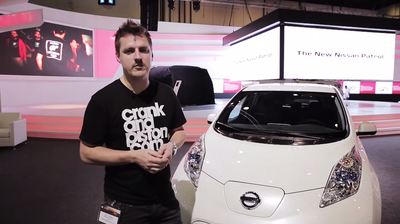 A video run down of the Nissan stand at the 2013 Dubai Motor Show. 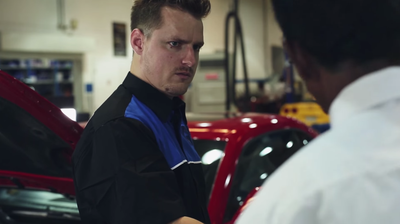 Our man blunders into a Chevrolet workshop to see if he can fix the latest cars on the road. 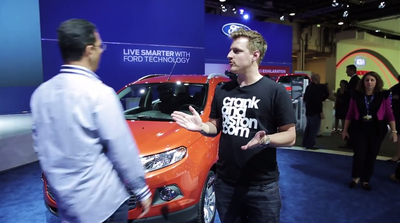 All Phill knows is that there's a problem with this Cruze. It's up to him to find out what that problem is, and fix it. Smoke and swearing follows.